Talmudist and rabbi; born about 1725 at Barby, a small city near Halberstadt, Prussia; died July 28, 1789, at Presburg. His father, a tradesman, was so poor that when he took Meïr, a weak, thirteen-year-old boy, to the yeshibah at Halberstadt, he carried him on his back part of the way to save traveling expenses. This very poverty, however, and the desire to aid his family, acted as a spur upon the lad; and he developed into one of the keenest and most learned pupils of the yeshibah, of which Hirsh Bialeh was the head. Indeed, a prominent member of the Halberstadt community was proud to have him as a brother-in-law. 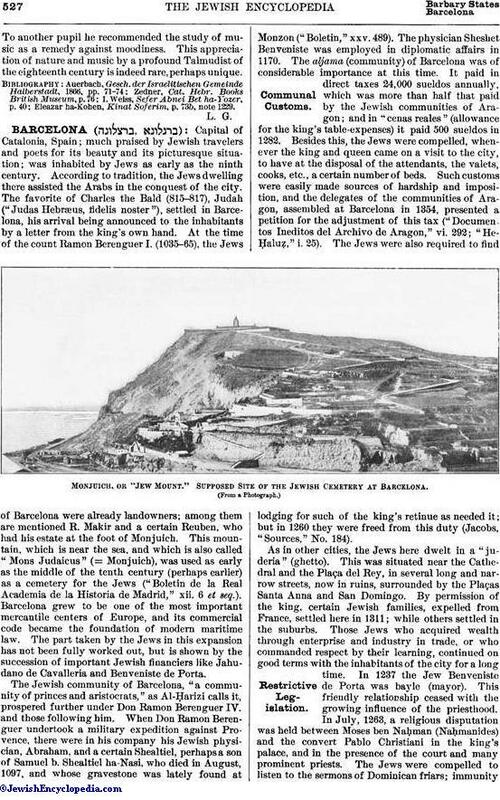 Being thus freed from care, Barby went to Frankfort-on-the-Main, where he studied for two years under Jacob Joshua. Soon after his return to Halberstadt he was made dayyan, and in 1756 became acting rabbi. This position he held until 1763, when he accepted a call to Halle-on-the-Saale. After staying there one year, he assumed the rabbinate at Presburg, holding this position together with leadership of the yeshibah for twenty-five years. 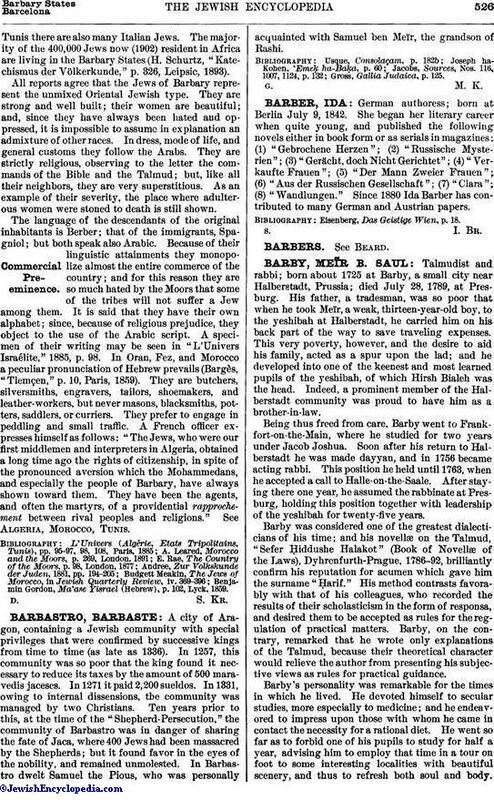 Barby was considered one of the greatest dialecticians of his time; and his novellæ on the Talmud, "Sefer Ḥiddushe Halakot" (Book of Novellæ of the Laws), Dyhrenfurth-Prague, 1786-92, brilliantly confirm his reputation for acumen which gave him the surname "Ḥarif." His method contrasts favorably with that of his colleagues, who recorded the results of their scholasticism in the form of responsa, and desired them to be accepted as rules for the regulation of practical matters. Barby, on the contrary, remarked that he wrote only explanations of the Talmud, because their theoretical character would relieve the author from presenting his subjective views as rules for practical guidance. Barby's personality was remarkable for the times in which he lived. He devoted himself to secular studies, more especially to medicine; and he endeavored to impress upon those with whom he came in contact the necessity for a rational diet. He went so far as to forbid one of his pupils to study for half a year, advising him to employ that time in a tour on foot to some interesting localities with beautiful scenery, and thus to refresh both soul and body.To another pupil he recommended the study of music as a remedy against moodiness. This appreciation of nature and music by a profound Talmudist of the eighteenth century is indeed rare, perhaps unique. Eleazar ha-Kohen, Kinat Soferim, p. 73b, note 1229.